New Valentina & Valentia collection celebrates women. As part of our mission we want to inspire girls and women to follow their dreams wherever they take them. The graphic background for the look book was created by our team with the inspiration drawn from well known Klimt's work. In our interpretation, on this over-sized sketch the women are empowered, awakened and unified. Graphic make-up compliments flowing lines of the background. 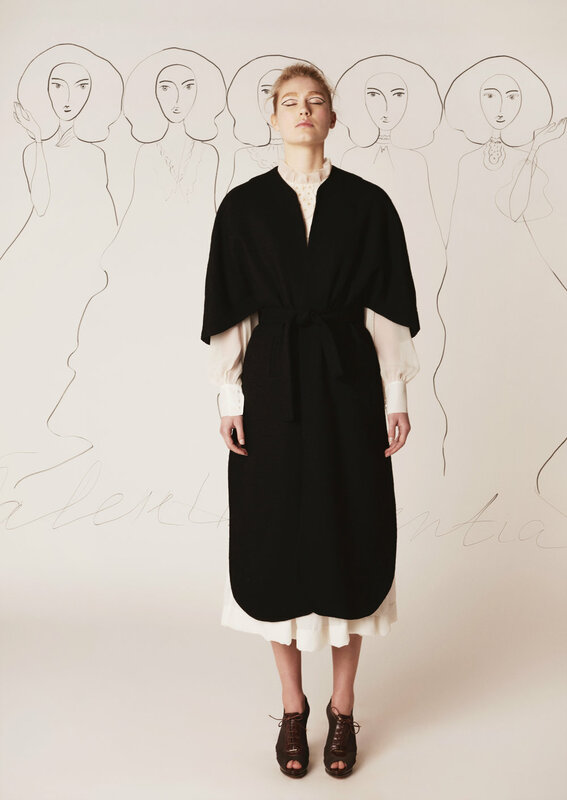 Similarly, the structured silk-lined tweed and wool crepe coats and capes highlight the femininity and fragility of flowing silk chiffon pieces.